possible level of service anywhere in the area. Craft Kitchen & Bath remodeling serves VA, MD and DC for residential & commercial. We specialize in Kitchen Remodeling, Bathroom Remodeling, Flooring, Cabinet & Countertops, Interior House Painting, and Tile & Ceramic. Craft Kitchen & Bath has a solid reputation in the home business with many years of experience. Your bathroom remodeling company should be able to give you several ideas on different types of cabinets, flooring bathroom fixtures, lighting and toilets or showers custom closets and tubs. With over 10 years of construction experience, Craft has a growing number of satisfied and returning customers. Please visit our testimonials page to view our extraordinary services and the high quality of the projects Craft has completed. Our designer staff that will prepare blueprints used by our contractors on location. Great care and attention to detail will ensure the project is being completed in compliance to code and retaining structural integrity through the completed product. 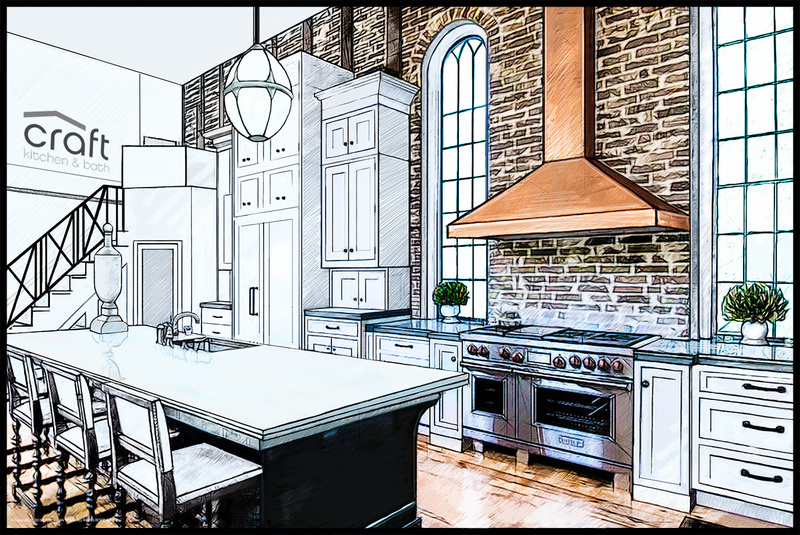 Craft kitchen & bath strives to provide our clients with the peace of mind they deserve throughout every project, that’s why Craft kitchen & bath is licensed and insured. ” A +++ We found the experience working with Craft Kitchen & Bath excellent. We decided to update our 30 years old master bath. We drew up preliminary plans and had five excellent rated companies price the work. Craft was slightly lower in price than the others but equally as important they made some excellent suggestions which actually allowed the project to move forward. The work was fully permitted through Fairfax County. The project included removing and re-framing two exterior windows, whirlpool tub, vanities and other cabinets, vessel sinks, electronic faucets, large shower with three shower heads and controls, glass shower wall and door, wall concealed tank toilet, marble counter top with marble floor and walls. Because of our first experience, we now plan for Craft to remodel our second bathroom.